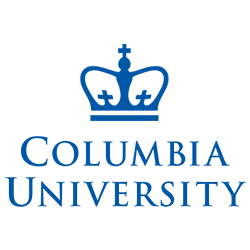 Send luggage to and from Columbia University with My Baggage! For $10 off your first booking, use the code UBCU10 at booking! Here’s how to use it. My Baggage is the No. 1 unrivalled student shipping service for Columbia University helping thousands of students transport their luggage to and from college every semester. Columbia is ranked as one of the most prestigious universities in the US. The MGM Studio’s Lion was inspired by Columbia’s Lion mascot. Out of all the US university halls, Columbia’s Havemeyer 309 lecture hall is where most of the Hollywood movies like Spiderman, Kinsey, Ghostbusters, and Mona Lisa’s Smile are filmed. Many celebrities like Julia Stiles, Jake Gyllenhaal and James Franco all graduated from Columbia. My Baggage can certainly make your exciting move to college much easier. Simply book and pay for your shipment online – placing orders only take a short few moments. You can then arrange the shipment to be picked up on a day that suits you, and we will collect your items and deliver them directly to your desired destination. It really can be that easy! You’ll be always able to track the whereabouts of your shipment. We offer full online tracking so that you can monitor the status of your shipment, along with SMS and email notifications. To ensure that you’re not worried about the process, our dedicated customer support is ready to help with any problems or questions you might have via phone, email or live chat. Low cost shipping for students. We aim to make sure that your college experience is as stress-free as possible. That’s why My Baggage offers a convenient and hassle-free door-to-door pick-up and delivery service. We can collect your belongings straight from your front door. If you are residing in Columbia University student accommodation, your belongings will be collected from and delivered to the main reception area or the designated postal room. However, we do recommend that you double check whether this is allowed with your college before making your bookings. 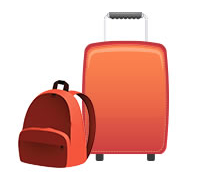 At My Baggage, we understand that no student wants to be without their personal luggage for a long period of time. That’s why we offer super quick shipping times at an affordable price to and from Columbia University. Therefore, your luggage should be with you within 3 working days. We also offer an express service for both domestic and international shipments. Get a quote to view the estimated transit times for your shipment. 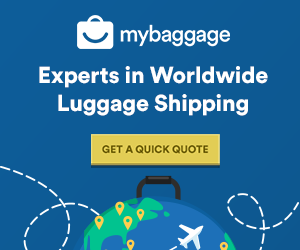 My Baggage provides luggage shipping services to over 200 countries worldwide. So if you’re an international student studying at Columbia University and you’re wondering how My Baggage can help you transport your stuff to college, visit our website and get an online today! We offer fantastically low prices and super fast shipping times. You can get a quote online from us anytime.